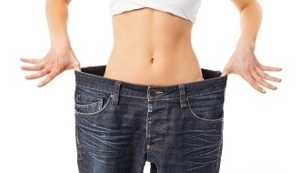 Authority Health › Diet & Weight Loss › Can Raspberry Ketones Melt Off The Flab? Can Raspberry Ketones Melt Off The Flab? You work, exercise and eat right, but those stubborn 5 lbs never stay away for too long. What if, instead of working so hard, you could melt off your love handles using nothing but a natural plant product? The idea of a natural weight loss supplement is so appealing, but it's hard to know if you can really trust the science behind many products. Here we'll investigate raspberry ketones to see whether they can really help you lose weight and burn off excess fat. Raspberry ketones, as the name implies, are chemicals found in red raspberries. These chemicals are what give raspberries their fruity aroma (1). In addition, raspberry keytones are used to flavor foods and also provide fragrances to perfumes and cosmetics. Amazingly, there are even more benefits such as preventing hair loss, improving the elasticity of the skin, and the one we will focus on of burning fat cells and aiding weight loss. Because production costs of natural raspberry ketones are so high, most of the time a synthetic version is used. This is true in some raspberry ketone weight loss products, and may be the reason why they are not effective. All ketone supplements are not the same! Many reviews on the internet are made from subpar ingredients. When choosing to take any supplement, it is imperative to check the actual ingredients and make sure they are based on real clinical studies. With regards to raspberry ketones, only real raspberries will produce the desired fat burning effects. Raspberry ketones are elements which are found in raspberries. They are responsible for giving a fruity aroma, are used to flavor foods, are present in fragrances and cosmetics, prevent hair loss and aid fat burning weight loss. Because the natural source of raspberry ketones are extremely costly, many supplements use synthetic versions. Before buying a supplement, make sure it contains actual raspberries in order for it to be effective. In order to understand how raspberry ketones work, we must first look at what happens on a cellular level when we gain or lose weight. To study this, scientists studied a hormone called adiponectin, which is a protein secreted by fat cells into the bloodstream. A slimmer person will have high levels of adiponectin whereas someone who is obese will have lower levels of this hormone (2). Adiponectin has a large role in the body's metabolism. It contributes to fatty acid oxidation and regulates blood sugar. This has major implications for cardiovascular disease and diabetes, both which are extremely prevalent in the United States. Cardiovascular Health - One study analyzed the levels of adiponectin in obese women and found that as they lost weight, their coronary circulation improved and their levels of adiponectin increased (3). Type 2 Diabetes - There are many factors which contribute to someone being insulin resistant (4). They all result in excess build up of glucose in the bloodstream as well as decreased levels of adiponectin. 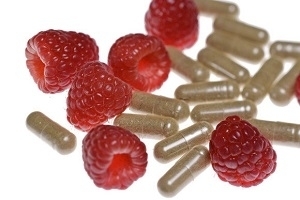 Can Raspberry Ketones Lead To Weight Loss? So where do raspberry ketones fit in with all of this? They are believed to raise the levels of adiponectin. This has huge implications for our health. As such, raspberry ketones are sold in the United States and Japan as a weight loss supplement. They contain a substance similar to capsaicin which occurs in our bodies to burn fat. In fact, successful studies have been done on mice which found that raspberry ketones actually do affect weight loss (5). While these studies are encouraging, what is missing now are significant human clinical studies on this natural supplement. The research indicating that raspberry ketones can lead to weight loss is limited to mice; major studies have not been conducted on humans (6). However, from the rodent studies, there seem to be promising benefits of this substance for treating obesity. There are some concerns about raspberry ketones safety. The United Kingdom's Food Standards Agency cited a lack of human clinical studies. Therefore, this supplement has been banned in the UK and the European Union (7). There actually was one 2013 study that studied 70 obese women in an eight-week weight-loss program which was found to support the efficacy of raspberry ketones for weight loss. However, this study included other elements, such as caffeine, capsaicin, garlic, ginger, and citrus aurantium (8). More human studies are needed to replicate these findings. Nonetheless, in the United States, the Food and Drug Administration (FDA) classified raspberry ketones as Generally Recognized as Safe (GRAS), even though research is lacking. While side effects haven't been officially documented, there are reports of jitteriness, rapid heart rate and raised blood pressure from taking raspberry ketones (9). Also, because this supplement contains dinitrophenol, it may increase metabolism exponentially which could lead to dizziness, nausea, or even cardiac failure. In addition, this substance may interact with prescription medication such as cholesterol and heart medication. It is always recommended to speak with your doctor before taking any supplement. The biggest concern is that there are no major studies on the effects of raspberry ketones on humans indicating precisely the effects and benefits, but also side effects. This implies that the side effects are largely unknown; anything mentioned is purely anecdotal. With this vagueness, some countries have banned this supplement. Still, the United States has concluded that it is considered GRAS. What's Next For Raspberry Ketones? Preliminary research is promising. Raspberry ketones could lead to weight loss and burn fat cells. Double-blind studies are now focusing on the effects of this supplement on humans. Scientists are looking to see how effective raspberry ketones can be as well as how it can work with other substances to achieve optimal results, for example, combining it with vitamin C.
Research is lacking on raspberry ketones as a dietary supplement for humans. The current research is still in the beginning stages. That said, what has been found could prove positive for effective weight loss. Despite lacking results, what researchers have found is that raspberry ketones should be from natural sources and not synthetically made. 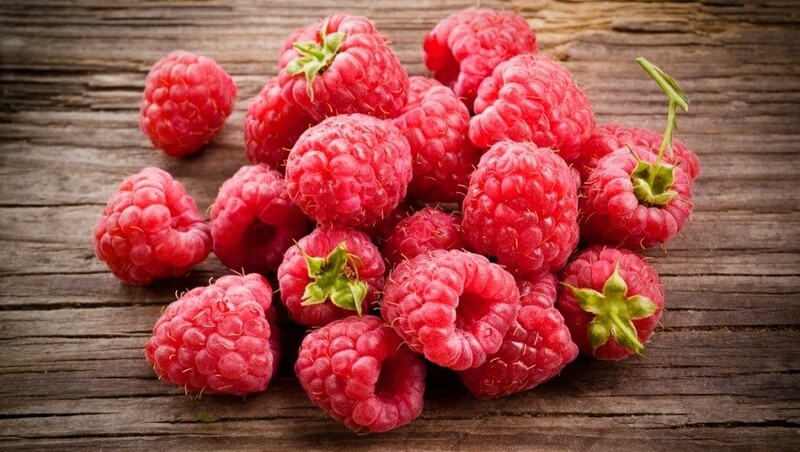 Taking supplements made from real raspberries could bring you the fat burning and weight loss help you've been looking for.